Donald Gallick and Tracy Lovvron will soon collect over $2 million for their roles in blowing the whistle on fraudulent practices and corruption at Extendicare Health Services, Inc. nursing home facilities. 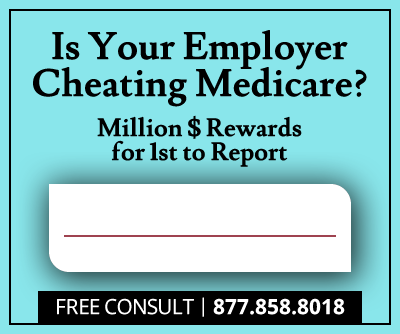 The plaintiffs filed separate whistleblower lawsuits against Extendicare per the False Claims Act, a federal law that allows private individuals to sue on behalf of the government to recover fraudulently obtained funds. Lovvron will receive over $1.8 million as a reward for exposing fraud, and Gallick will collect over $250,000. Extendicare employed Tracy Lovvorn from 2008 to 2009, during which time she claimed that she discovered a substandard pattern of care. She said Extendicare facilities in Delaware and Pennsylvania prescribed unnecessary therapies to claim extra reimbursements from Medicare. Patients didn’t need the help, but the company provided it anyway to take advantage of Medicare reimbursement policies. Per Lovvorn, during periods when Medicare reimbursements were high, nurses would increase therapy minutes to charge the highest per diem rates possible, a type of healthcare fraud known as upcoding. Then, when reimbursements receded to lower levels, the nurses would decrease therapy time to cut Extendicare's costs. In one particularly disturbing incident in 2009, she claimed that Extendicare’s management scheduled an absurd amount of occupational and physical therapy for a terminally ill patient. In another instance, Lovvorn said that management complained via email that a patient who had been unable to participate in the maximum amount of therapy due to a seizure was a billable "missed opportunity." Tracy Lovvorn’s whistleblower lawsuit also claimed damages under the no-retaliation provision of the False Claims Act, saying she was fired for exposing the failure of care healthcare fraud. The company will pay her $990,000 to settle this part of her lawsuit. 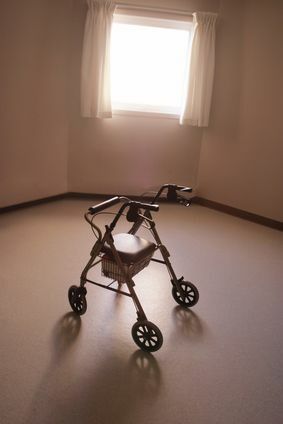 Donald Gallick’s whistleblower lawsuit charged that Extendicare provided substandard care at 33 of its skilled nursing facilities across eight states. Per his allegations, the nurse-to-patient ratio was dangerously high, and nurses failed to provide proper care for many patients and were otherwise neglectful leaving those patients vulnerable to ulcers, falls and other accidents. The multitude of Extendicare alleged violations included, according to a U.S. Department of Justice statement, billing both Medicare and Medicaid for “materially substandard” nursing; failure to meet federal and state care standards; failure to comply with federal and state regulations; failure to provide enough skilled nurses for patients requiring their services. To settle the suits, Extendicare agreed to pay $38 million to the federal government and eight U.S. states to settle allegations of overbilling Medicare and Medicaid as well as providing substandard nursing services and performing unnecessary procedures. This is the largest failure of care settlement in the U.S. Justice Department's history. Extendicare also must enter into a chain-wide, five-year Corporate Integrity Agreement with the Department of Health and Human Services. Wisconsin based Extendicare operates 146 skilled nursing facilities in 11 states throughout the country. The cases settled, with no final determination of Extendicare liability, were U.S. ex rel. Lovvorn v EHSI (Extendicare Health Services Inc.) in the Eastern District of Ohio, and United States ex rel. Gallick v EHSI.